Why online games – not a waste of time? Many people consider online games a waste of time – and I do not agree with them. First, this is a great way of spending time. In games, you can escape from reality, become some kind of hero and do whatever you want. Do you want to go into space, build ships and fight against enemies? Welcome to Eve Online. Do you attract fantasy? Try Blade and Soul, Black Desert. Do you want to become a commander and the owner of the kingdom? You will like Stronghold Kingdoms. In MMO (massively multiplayer online) you will interact with other users. This allows you to make new acquaintances, find like-minded people, which is often lacking in reality. Some people just do not understand your hobbies games, but in the virtual world there is no such thing. People communicate, go through tasks together, have fun. Players are often required to show wit, tactical abilities and other skills to complete the task. For example, before a complex boss you need to learn its features, attacks, and during a fight quickly evade, which develops the reaction speed. In online strategies, you need to calculate tactics and anticipate the moves of rivals. Modern MMOs are a way to earn money. ESports is developing – a kind of competitive activity when people try to win over another team in a video game. As a profit, we can mention streaming online games, recording video clips, selling game items, downloading accounts for money. But it is worth noting the disadvantages. For example, some players perceive everything that is happening in the virtual world too seriously, why they show aggression towards others. The next drawback is donat. Often, online games are available for free, but for additional gameplay you will have to pay real money. And the developers of some projects, frankly, are greedy. 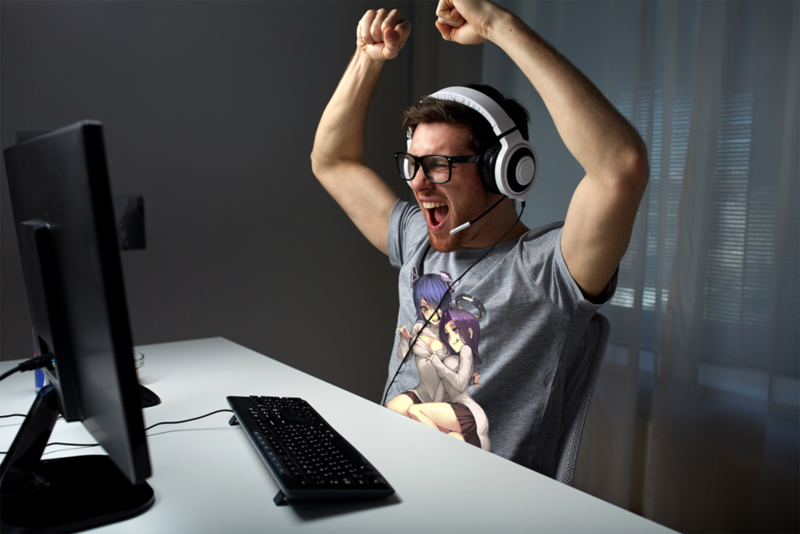 Online games are a great way to have fun, to get away from reality. Of course, you need to know the measure, but in general, gaming projects can not be called a waste of time. Man, playing, relaxes, enjoys and realizes dreams.